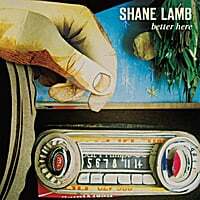 Shane Lamb-Better Here. Nashville's Shane Lamb is back with the followup to his excellent 2009 release Disengage, and damned if he didn't come up with another roots-pop gem. There's plenty to like here, starting with the opener "Adrenaline as Medicine", which has a strong Tom Petty vibe. Speaking of Petty, the outstanding title track is reminiscent of "Yer So Bad". "Can't You See" is a driving, pulsing rocker that's still melodic, and "It's True" has a Jayhawks-like pop sheen to it. But the real highlight here is the midtempo "I See Now", in which Lamb's gift for melody and angelic voice combine for a great rootsy pop tune. An easy top ten of 2011 to date. The Insomniacs-Just Enjoy It! Aside from Detroit, the first place that comes to mind for garage rock is New Jersey, and this Elizabethtown band does their state's tradition proud with Just Enjoy It!. From the cover, you can get a pretty good idea where these guys are coming from, with one backbeat anthem after another. So yeah, you've got catchy rocking numbers like "Yeah Yeah Yeah", the title track, and "Good for Nothing". But they show another side on the jangly "For the Last Time" and the dreamy "Hang in the Air", proving they're not one-dimensional garage rockers. A real breath of fresh air. Love the Insomniacs!! Great Band!!! Great album!! !